Are you sometimes lost in a sea of information and wonder how you can go from data discovery to smarter decisions? Are you wondering how data analytics can positively impact your organization? How do you use data towards making the world a better place? On 15th of November 2016, Enderun Colleges, together with Global Chamber® Manila is organizing its 1st Data Science Conference entitled "Big Data Analytics Conference 2016" with a theme of "Making Big Data and Analytics Work for You." Join us and dive into the deep world of Big Data Analytics as we gather 300+ attendees from the business, government and public sector, technical, and academic communities to discuss the trends, tools and opportunities big data analytics delivers in your respective fields. Industry experts from all over the Philippines will openly share their best practices and insights that will deck you out to become future leaders in a data-driven environment. The conference will tackle topics ranging from leveraging big data analytics, new business models and opportunities, empowering marketing through data, to understanding what the future holds for big data in the country. Big data is a popular term used to describe the exponential growth and availability of data, both structured and unstructured. And big data may be as important to you and society as the Internet has become. Why? More data may lead to more accurate analyses. While some businesses and organizations are afraid of tackling the magnitude of big data, its value has been observed in many industries. With 42% of IT leaders now investing on big data, it is no longer a trend that employers can ignore. Here are five ways that it can help you. Big data analytics is the most effective and economical strategy to marketing. In using intelligent sources for market research and focus, multinational companies have been realizing the value of big data for smarter marketing. What used to be a shot in the dark on consumer behavior has now been made handy and predictable through the power of data. In the age of a data revolution, more information on consumers equals a more targeted business model. A government that works. This is the newest motto of smart governments - a public service that is connected, smart, efficient. Big Data Analytics tools, strategies, and systems are flying off the shelves in the last couple of years as businesses are unlocking the potential of data. Discover new business opportunities for your business, big or small. Turn your data into action. From simple to complex decisions, from the everyday to the once in a lifetime, Big Data Analytics can move you to make the transformative decision. Big Data Analytics helps organizations harness their data and use it to identify new opportunities. That, in turn, leads to smarter business moves, more efficient operations, higher profits and happier customers. Learn how to embrace this opportunity and make your commercial data work for you. Big Data can powerfully reveal trends and patterns that can lead to significant improvements in an organization's marketing performance. Data is the missing link between marketing actions and results. But think, "strategy first, then data." Learn how to realign your marketing strategies, and hear how successful organizations are achieving incredible ROIs and how you can too. The impact and benefits of Big Data and Analytics is by no means limited to the business sector. Around the world, the public sector, including governments, NGOs, non-profit organizations, and academic institutions, are embracing the opportunity to deliver improved services and results to stakeholders. 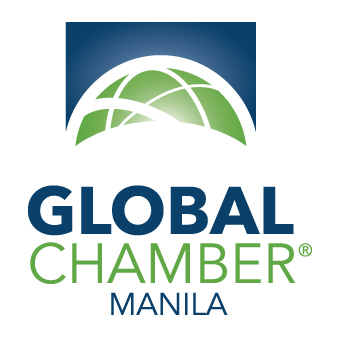 This panel will discuss the relevance and impact of Big Data and Analytics in the Philippines and introduce topics for futher exploration in the afternoon breakout sessions. REGENESYS Biotech Solutions Systems, Inc. The Harvard Business Review calls the rise of big data "an exciting — if in some cases scary — development for business." Big Data, Analytics, and their digital companions Social, Mobile and the Cloud, bring countless new opportunities, but also the potential for disruption, and realignment. Those that misunderstand the opportunities, can lose out. This dynamic panel will discuss new emerging models that will help you win. Living Services is what we call this 3rd wave of digital disruption – an era where we see smart technologies provide granular insights about consumers, unleashing opportunities to redesign human experiences and create services that can change people’s lives and the world around them. The hospitality and travel industries are increasingly turning to advanced analytics solutions for insights to keep customers happy, loyal, and to maximize overall lifetime value of guests. These industries generate massive amounts of data and are home to some of the best success stories in Big Data Analytics. 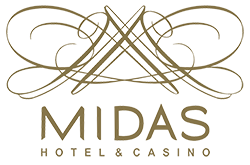 No matter what industry you're in, there are powerful lessons to learn, and if you're in the hospitality and travel industry, this is a "do not miss" session! Big Data and Analytics in Healthcare is being used to predict epidemics, cure disease, improve quality of life and avoid preventable deaths. It's a promising field for providing insight and improving outcomes while reducing costs. For the first time, it's now possible to gather real data about patients early in their lives and use it to keep them healthy. Join this panel of experts whose creativity is helping make all this possible. More than two exabytes (two billion billion bytes) of new data are generated daily by people, processes, and machines. Along with this explosion in data is an explosion in the availability of Big Data and Analytics platforms and tools. The panel will explore questions such as "how do I navigate this new landscape", "how do I find and select the right tools for the job", "how do I gain the education and experience needed for success." Smart Cities and Smart Government initiatives aim to bring sustained inclusive economic development through investments in intelligent information and communications systems. Big Data and Analytics plays a key role. Our country now has a new Department of Information and Communications Technology (DICT). This breakout panel will discuss Smarter Government progress and opportunities ahead. Big Data includes the collection of huge amounts of about every person on earth. Such data are used in countless positive ways. However, the new Zetabyte era also bring significant and important new challenges for organizations to protect this information. The panel will tackle this topic from a strategic perspective and equip you with knowledge you need to know. G DATA AV Lab Inc. Without a doubt, the most important element in your Big Data and Analytics strategy is access to the necessary talent, "the Big Brains." The panel will discuss what makes a great data scientist, and the challenges and solutions in building and managing the data science team you'll need to unlock the insights and promises of Big Data. Along with the explosion of Big Data comes a soaring demand for analytics professionals. Join this breakout to learn about new career path options and understand the differences between such roles as Data Analyst, Business Analytics Professional and Predictive Analytics Professional. Gain an understanding of the skills required and how to pursue a career in this exciting field. Imagine a world where seemingly intractable problems of poverty, hunger, disease can be tackled and solved. Big Data and Analytics offers an exciting new opportunity to address these massive social problems. One exciting development is the increasing availability of "Open Data" initiatives to provide access to the information that can be used for Social Good. The panel will highlight these initiatives and how you can participate. Big Data and Analytics has found its way into all sectors of the Philippines including Business, Government, and Academe. But the efforts are mostly siloed. The panel will explore the current state of Big Data and Analytics maturity locally, opportunities for the future, and ideas for enhancing cooperation that will lead to better outcomes for all. 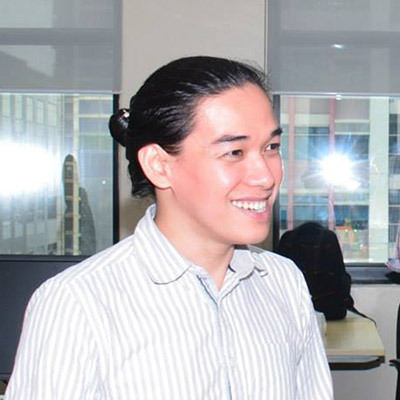 Isaac Reyes is the Principal of DataSeer, the Philippines’ leading data science consulting and education provider. DataSeer serves Australian, US and Philippine clients in the areas of predictive analytics, machine learning and digital analytics. 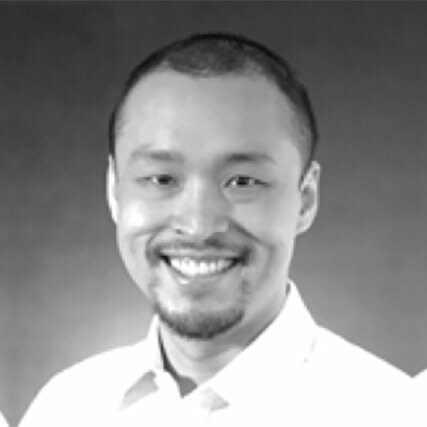 Prior to co-founding DataSeer, Isaac lectured in statistical theory at the Australian National University and worked as a Data Scientist for Forbes Global 2000 clients spanning retail, pharmaceuticals, web and telecommunications. A TEDx speaker, his goal is to train 1,000 data scientists by 2017. Jemm Cellan is currently the Head of Analytics, Consumer Marketing for Globe Telecom and is an aspiring digital analytics evangelist. He is a true digital native with over 12 years of combined experience in web design & development, creative writing, search engine marketing, digital advertising and web analytics. He spent 4 years in Singapore where his interest in digital marketing flourished while helping big brands grow their online presence. His most recent stop prior to Globe was to serve Performance marketing clients as the Analytical Lead for Google Philippines. REGENESYS offers biotechnology solutions for the organic farming and health and wellness industries. Mr. Melchor has occupied diverse senior positions in the corporate world, academe, and government. In the business world, he ran an Information Technology company for 9 of his 20 years in the United States, and later was a senior executive with IBM Philippines for 5 years. He was a multidisciplinary academician for 8 years of his career, having taught 12 different subjects. He has held senior positions in the country’s anti-poverty, anti-crime, national defense, and science & technology institutions. 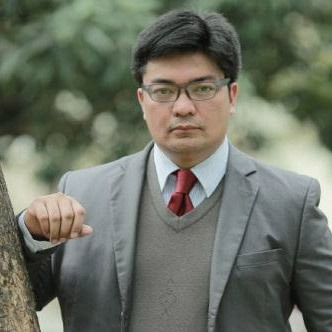 He has been accorded many awards and recognitions, including the IBM General Manager’s Award of Excellence, and the Chino Roces Citation for “uncommon courage in the war against drugs and kidnapping,” as well as a scholarship to the John F. Kennedy School of Government at Harvard University. Mr. Ibrahim is currently with the Department of Information and Communications Technology (DICT) as Executive Consultant to the Secretary. Prior to this, he was Deputy Executive Director of the then Information and Communications Technology Office under the Department of Science and Technology (DOST-ICTO). He also served as Commissioner of the former Commission on Information and Communications Technology (CICT) from 2007 until June 30, 2011. JP is currently the local Data Science Business Leader for Nielsen, and he helps ensure that one of the world's most recognized retail performance measurement index is delivered to the highest quality standards in the Philippines. 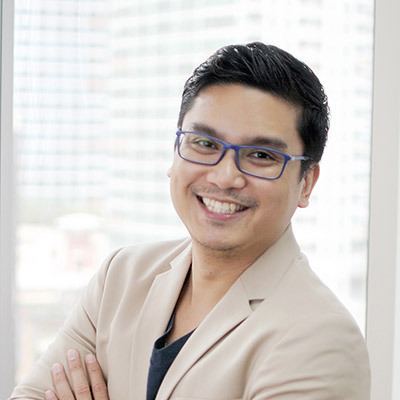 He was previously with ABS-CBN Corporation and helped develop their digital business, leading several teams specializing in marketing campaigns, product development, and business intelligence. He is a graduate of the University of the Philippines, with a BS degree in Molecular Biology. 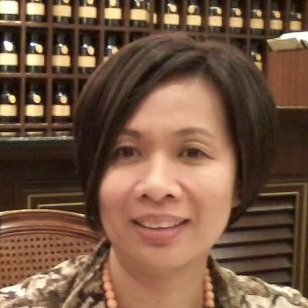 Brenda A. Quismorio has a combined fifteen years of experience in consulting, process reengineering, application development and maintenance, quality management, and data services work for global firms such as Andersen Consulting (now Accenture) and Watson Wyatt Worldwide (now Towers Watson) and local firms such as First Philippine Holdings and Aboitiz Transport Systems (now 2GO Group Inc.). She joined the academe in 2010. As an Assistant Professor at the University of Asia and the Pacific, she spearheads the undergraduate specialization program in Business Analytics. She cofounded the Business Analytics Society of Educators and is currently its VP for Internal Affairs. She is a resource person for a number of professional organizations and training institutes on Business Analytics. She holds degrees in BS Statistics, MBA, MS in Management and Phd in Business Administration with a dissertation on modeling financial extreme risks. As the President of the Philippine Software Industry Association, Jonathan leads the way for the Information Technology industry of the Philippines. He is also the Founder and CEO of CMI Tech, a software innovations company involved in developments in web, mobile and cloud solutions for various verticals. 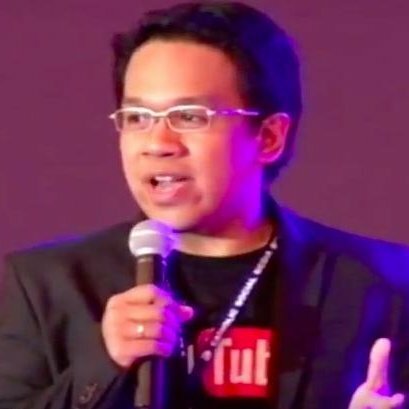 Jonathan’s latest conquest is to create the Philippines’ Silicon Valley. 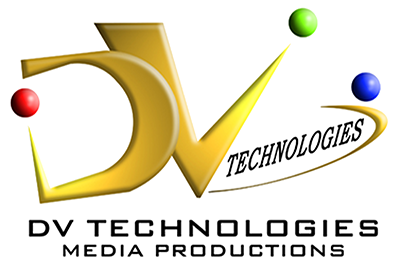 Spring Valley was created to address the need for a venue where Innovation and Technology is cultivated and nurtured in terms of talent development and intellectual property creation. Spring Valley aims to be Asia and the Pacific’s answer to Silicon Valley in the US – with a few exciting tweaks! Grab is Southeast Asia’s leading ride-hailing platform. We solve critical transportation challenges and make transport freedom a reality for 620 million people in Southeast Asia. We believe everyone should be able to go everywhere - and trust that they can book a safe ride. He is also the co-founder of Zalora Philippines and previously served as the Managing Director of Zalora PH, handling operations. He spearheaded the introduction of cash on delivery services for the Philippines eComemerce market. 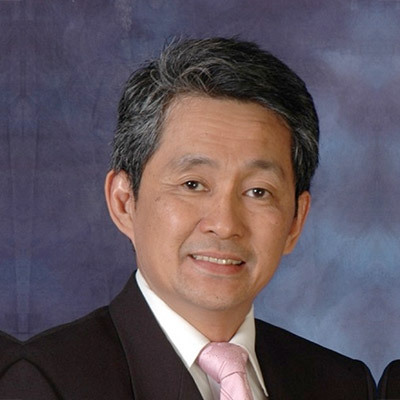 Karlo is a Director of Global Production at IMS Health Inc. responsible for mature markets and developed countries in the Asia Pacific and the Country Head of IMS Health Operations Center Philippines, Inc. serving as the company's President and Chairman. 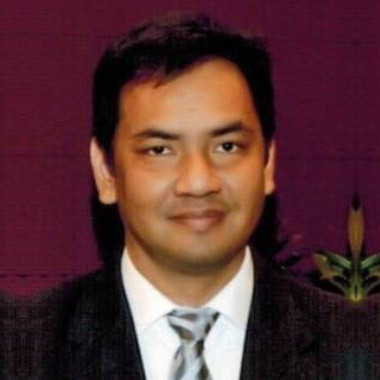 He has more than 15 years of experience in operations and service delivery spending the last 12 years migrating new business processes to the Philippines from different Fortune 500 companies and managing large-scale operations providing services to different industries and geographies. He led teams servicing different verticals mainly in life sciences data analytics, insurance and healthcare, F&A, travel, transportation and logistics, high-tech, consumer and telecommunications. 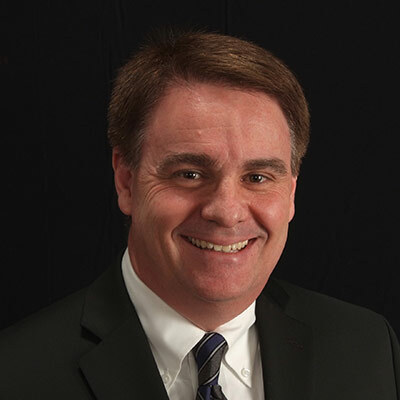 Throughout his career, he has improved the operational processes of different companies as a COPC Practitioner and a Six-Sigma Champion helping them grow their business with his involvement in sales, due diligence, transitions and migrations as well as automations and transformation projects. Karlo is also a long-time leadership trainer conducting seminars and lectures in leadership development, behavioral management and team building. Mike has been with Accenture for more than 15 years and currently leads the Accenture Digital capability delivery. He has extensive delivery and operations knowledge and experience in projects revolving around mobility and interactive, as well as in large-scale transformation programs. Prior to this role, he held leadership positions in Accenture’s Chief Information Office (CIO). 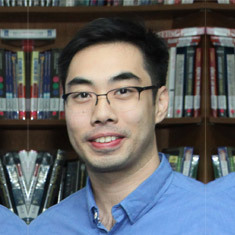 He graduated from the Ateneo de Manila University with a Bachelor of Science degree in Computer Science. His hobbies include sports, traveling and photography. Off work, he also likes to spend time with his wife and three kids. Ms. Ugarte is the Marketing Manager of Enderun Hospitality Management. She earned her Bachelor’s Degree in Fine Arts at the University of British Columbia Vancouver, Canada. She then went on to earn her Associate’s Degree in Fashion Communication at Instituto Europeo di Design in Madrid, Spain. Mr. Bobby Horrigan is an experienced hotelier. He has worked with world dignitaries, heads of state and Hollywood personalities. A graduate of the prestigious Les Roches School of Hotel Management in Switzerland, he honed his management expertise with further studies at the School of Hotel Administration of the renowned Ivy League institution, Cornell University. 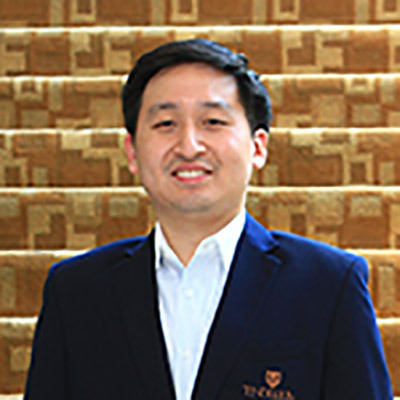 He joined the Hyatt International shortly after graduation and became part of the Dream Team that successfully opened the award-winning Grand Hyatt Hongkong. Horrigan’s local experience include a two-year stint as Resident Manager of Olympia Courtyard Suites and eight years as Managing Director of Asian Food Concepts, a company that provided food concession services for the Pan Pacific Hotel in Manila. 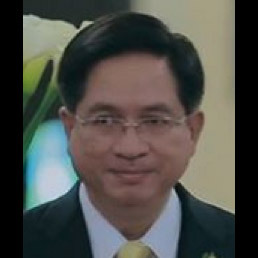 He was appointed General Manager of Discovery Suites in 2006 and was later promoted to HSAI-Raintree’s Vice President/General Manager of Hotel Operations in February 2008. 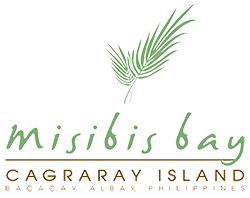 In 2009, Horrigan played a significant role in the opening of Misibis Bay in Cagraray Island, Bicol, the second Small Luxury Hotel (SLH) in the Philippines. 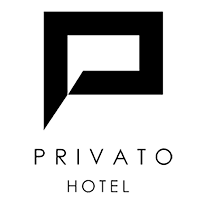 He oversaw the operations of two properties – Discovery Suites and Discovery Country Suites (Tagaytay) – until he accepted the new role of General Manager at Acacia Hotel Manila in January 2012. In November of the same year, he was awarded the 17th Mabuhay Gold Award. The said recognition is given by The Association of Human Resources Manager (AHRM) of the hotel and restaurant industry to the candidate who has elevated the standards of the industry globally. Horrigan is a board member of the Chaine des Rotisseurs (Vice Charge des Mission) and a Director of the Hotel and Restaurant Association of the Philippines (HRAP). 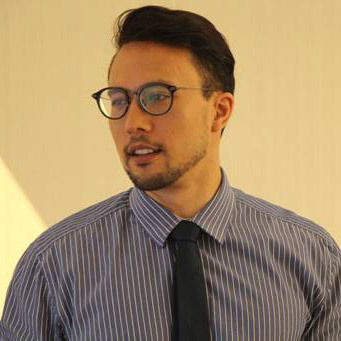 He is currently a Senior Consultant for Enderun Hospitality Management that manages and consults for properties like Acacia Hotel in Alabang, Privato Boutique Hotel in Ortigas, Misibis Bay in Bicol, The Plaza Hotel in Bataan and Somerset Alabang. Mr. Salipsip earned his BA from Ateneo de Zamboanga, his MBA from University of the Philippines Diliman, and PhD in Management with distinction from International Academy of Management and Economics (IAME). He was country manager of chemical company Dow before being Pacific Area marketing and sales training manager for Dow Pacific. Now, Mr. Salipsip is a performance consultant for Wilson Learning, and executive director of American Chamber of Commerce in the Philippines (Amcham) Foundation. Dr. Ryan graduated from the University of the Philippines College of Medicine and had formal medical informatics training at the National Library of Medicine, US National Institutes of Health. He had numerous researches, which contributed to the development and use of technologies in healthcare related to imaging, QR codes, and community health information systems. Dr. Ryan is a professor at the Medical Informatics Unit of the UP College of Medicine, the Ateneo School of Medicine and Public Health, the Ateneo School of Government, and the Ateneo Graduate School of Business. Besides research and teaching, Dr. Ryan also serves as Chief Medical Informatics Officer of HealthInformatics, Inc. and co-founder of Healthylitics - a data analytics company providing solutions for healthcare organizations in the Philippines. 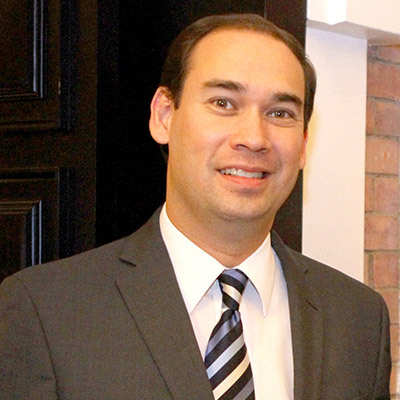 Dr. Ryan also is a governing council member of the HIMSS Asia Pacific organization, chairman of the HIMSS Philippines Community, and core member of the UNECE PPP for digital health and telemedicine working group. 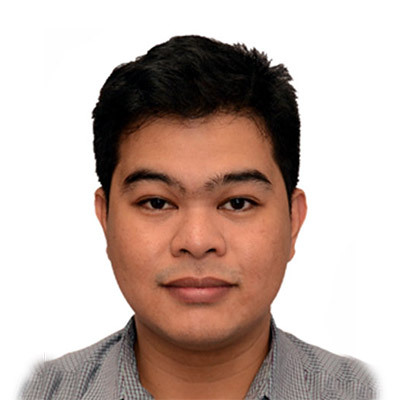 Kit R. Sumabat, RN CPHIMS is a registered nurse with BS Computer Science education from De La Salle University-Manila specializing in analytics and artificial intelligence. He has over 13 years of experience in IT, 7 years of which in specializing in the healthcare informatics industry. His area of interest includes electronic health records, hospital information systems, cloud computing, analytics, and machine learning. 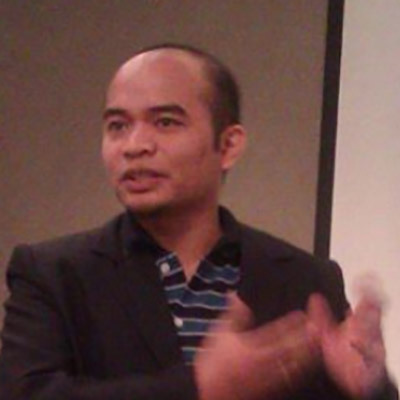 Reggie is a Business Economics graduate from the University of the Philippines - Diliman. He is currently the CEO and Lead Management Consultant of Novostorm Technologies Inc. a provider of healthcare technology solutions currently focused on Patient Flow management and improvement through Data analytics. He founded Novostorm to make a positive difference in the healthcare space, starting with the Philippine setting. Being a Lean Six Sigma Master blackbelt, his expertise is on continuous improvement, data analytics, change management, training, coaching, and service delivery governance. He also brings tons of leadership experience as he took up critical roles in various high-profile companies. He is previously a Senior Director at Sutherland Global Services, Transformation Director of Excelion Technologies Inc, Process Excellence Leader at AP-Moller Maersk, Continuous Improvement Senior Manager for Shell, Quality Leader for General Electric, and Operations Manager for BPI. He is a Man-on-a-Mission, helping local companies adopt global best practices in continuous improvement, data analytics, and service delivery. “The Filipina who proved Einstein right”, as featured in Rappler in 2012 with her work confirming Albert Einstein’s Theory of Relativity in a cosmic scale in 2010 during her Ph.D. studies in the United States, Dr. Reinabelle Reyes is currently a part-time lecturer at the Department of Information Systems and Computer Science of Ateneo de Manila University. 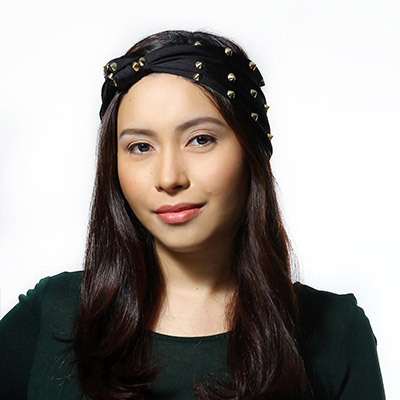 Reina obtained a bachelor’s degree in Physics from Ateneo de Manila University and a Ph.D. in Astrophysics from Princeton University. 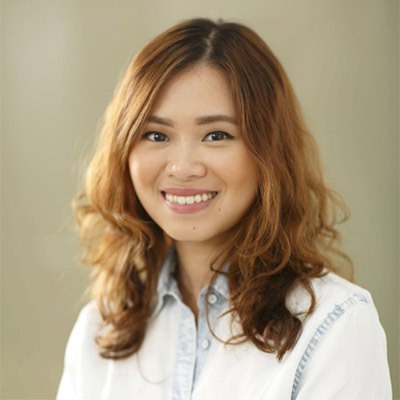 She writes a regular column for Stack PH (www.stack.com.ph) called “Data Nuggets”, covering data science and analytics topics, and may be seen at various seminars inspiring students, professionals at private and public sectors on how they can also be data scientists like her. 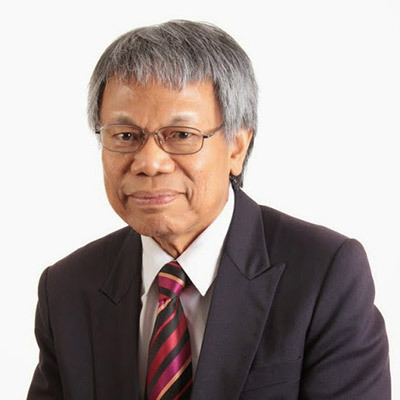 Arturo C. Alcantara, MD, MBAH is a Doctor of Medicine and currently the Chief of the Informatics Task force of Philippine Health Insurance Corporation (PhilHealth). In this role, his latest achievement is the implementation of the business intelligence and analytics solution of Philhealth, with their big data plans well underway. A believer of the power of analytics, Doc Art is leading multiple initiatives for PhilHealth that will improve its services by increasing the efficiencies in their internal processes through the use of data. Having earned his MBA in Health at the Ateneo Graduate School of Business, and earning certifications in Germany for Advanced Professional training in Social Security, and Masters in International Health, Doc Art truly has a rare combination of industry expertise and tech-savviness. 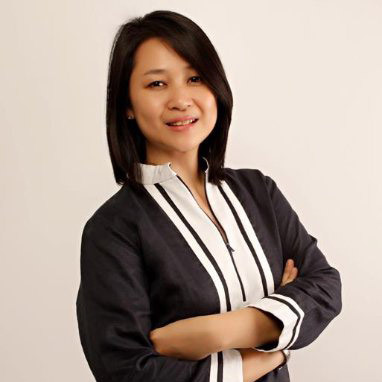 With more than 20 years of IT consulting experience in the Philippines, US and Europe, she started her own consulting firm 3 years ago that specializes in analytics, her passion ever since she graduated with a degree in Statistics from the University of the Philippines. She trained on and practiced data mining in Spain for two years, and later on pioneered the Analytics Department of the largest local private bank in 2005. In 2011, she was the Consulting Director for a top software company where she led a team of 150 consultants in implementing enterprise solutions for companies worldwide. Now as President and Managing Director of Z-Lift Solutions, she brings all these experiences to her clients as she defines their roadmap towards a smarter business with analytics, and enables them to make it part of their new culture as a data-driven organization. 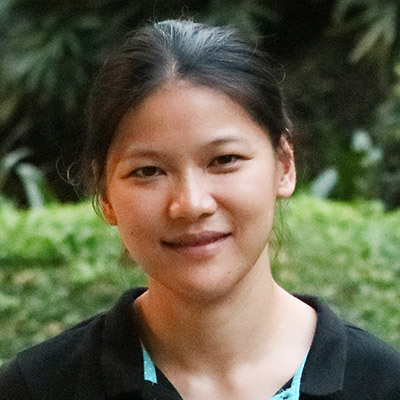 She is also the organizer of the R Users Group of the Philippines, a 3-year-old community that aims to promote the use of open source R for statistical programming in the country. 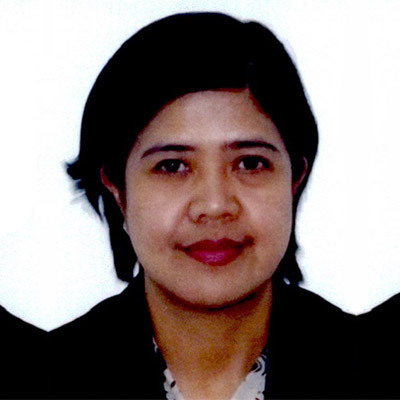 Ms. Rosa Maria M. Clemente is the Officer-in-Charge (OIC) Deputy Executive Director V of the Procurement Service-Philippine Government Electronic Procurement System (PS-PhilGEPS). 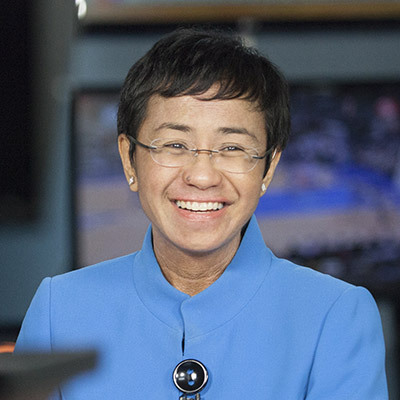 Her career in government started back at the Information Technology Service of the Department of Budget and Management where she handled various computerization projects. She is constantly being invited as a resource speaker where she imparts her knowledge and appreciation on the best practices, challenges and lessons learned in the implementation of PhilGEPS, the central portal for all procurement information of the Philippine Government. She was also recipient of various training scholarships here and abroad. 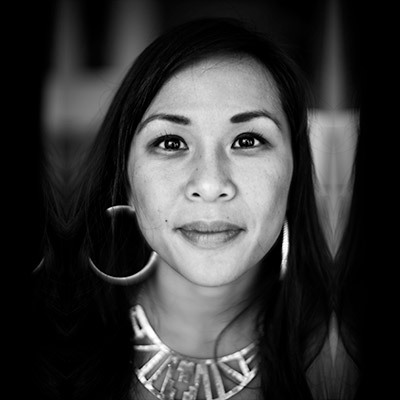 She has been an Open Data Champion of the agency since 2011. Aside from managing the PhilGEPS, she is also the chairperson of the Bids and Awards Committee (BAC) of the PS-PhilGEPS conducting procurement in behalf of other agencies for consulting services,civil works as well as goods. 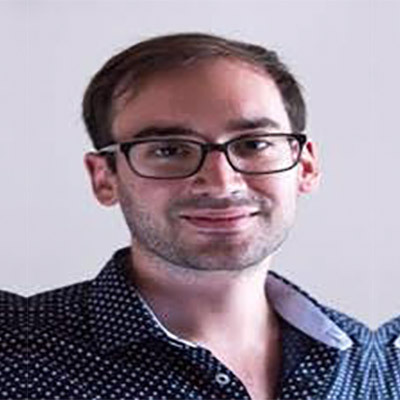 A software engineer and data scientist with five years experience in the security industry, Dylan Valerio is currently working as a data science consultant in BusinessMinds. He has handled back-end technologies like databases, web services and data processing pipelines. 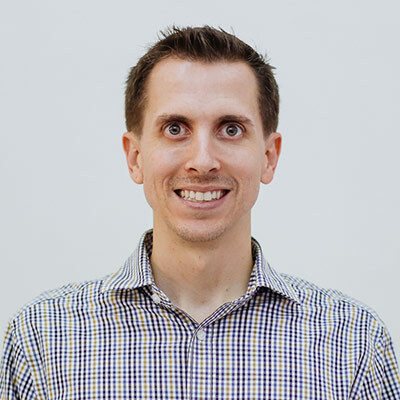 A professional and an academic, he has handled large-scale data with machine learning techniques, digital signal processing, computer vision, natural language processing and deep learning. Xavier is the Chief Operating Officer of G DATA AV Lab Inc - an IT research and development facility that delivers anti-virus services and solutions to G DATA customers worldwide. Fueled by his passion to secure the cyber world, Xavier has been in the IT security industry for most of his career. An anti-virus engineer by heart, he now leads a company of Cyber Police enforcing and securing the cyber community from threats proliferated by cyber criminals. 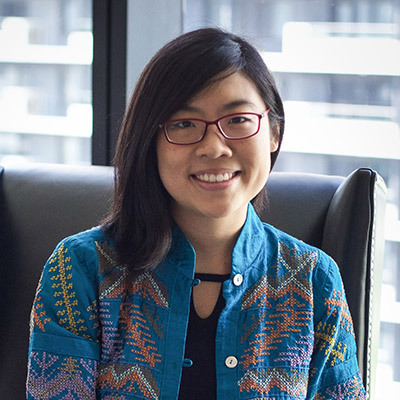 Stephanie Sy is the founder and CEO of Thinking Machines Data Science, a data science consultancy that solves business problems for clients using machine learning, software engineering, data visualization, and data storytelling. Previously, she was a product analyst at Google HQ, and an early employee at Wildfire Interactive, a social media tech startup that was acquired by Google. She graduated from Stanford University with a bachelor's degree in Management Science & Engineering. 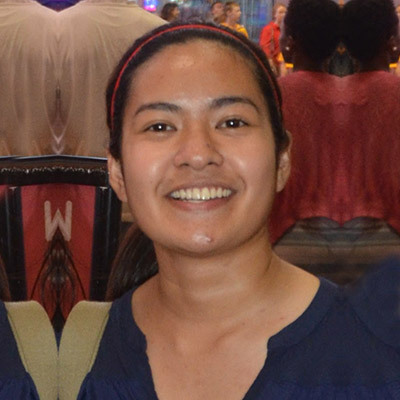 Mia Umanos is an analytics consultant from the United States and is acting Director of Analytics for Amihan and Bughaw Digital. 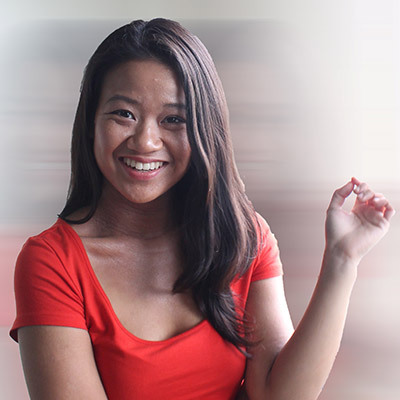 In this role, she innovates the analytics program for clients like LBC, PLDT, and Golden ABC. She's worked in the analytics field for more than 12 years, elevating the collective intelligence of marketers, strategists, designers, and customer experience architects through data. Her measurement methods continue to advance the field of digital analytics. She recently headed the Global Customer Analytics team for Intel and designed the customer data strategy for the Apple Watch product launch. Previously, Umanos was with Omincom and JWT companies where she led marketing analytics programs for clients including, Moen, Nissan, Budweiser and Quicksilver. Her speaking engagements include 2014 World Economic Forum on Digital Transformation and the Adobe Summit on the Future of Customer Intelligence. Her work on revenue attribution modeling was presented at eMetrics Toronto. In June, 2013, MediaPost published her POV on data privacy, and in October of the same year she was a finalist in the San Diego Women Who Mean Business Awards. Umanos was a Healthcare Businesswomen’s Association Rising Star nominee in 2008, during her time at Siren Interactive, a pharmaceutical advertising agency. When Mia is not wrangling data for insight, she’s exploring the world with her family, one surf break at a time. 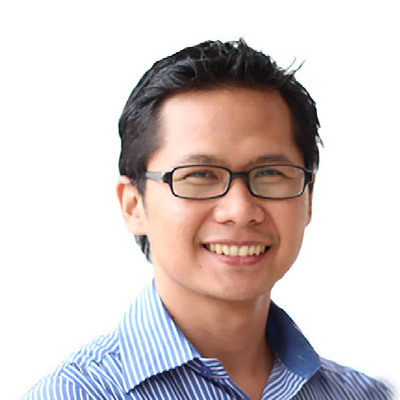 Borj Catingub is Co-Founder of DataDriven.Rocks, a digital marketing agency built on the principles of lean startup methodologies. He helps startups implement their launch using pre-market and post-market validation methods to ensure the right audience is reached, engaged and business growth is achieved. 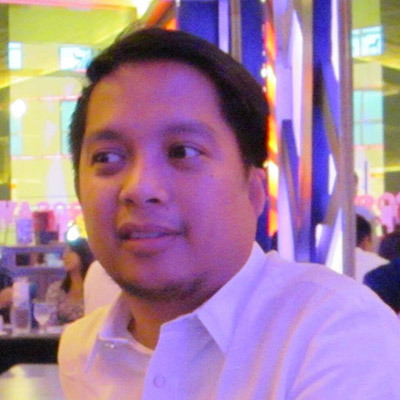 Borj is also Digital Consultant for SageLegion.com, a recently launched Global Analytics Marketplace. Borj uses data and analytics to optimize digital marketing initiatives for organic, paid and social media amplification strategies for both B2B and B2C enterprises. Currently, he is actively engaged in the startup community sharing insights through meet-up sessions and building collaboration to support the freelance industry in the Philippines. 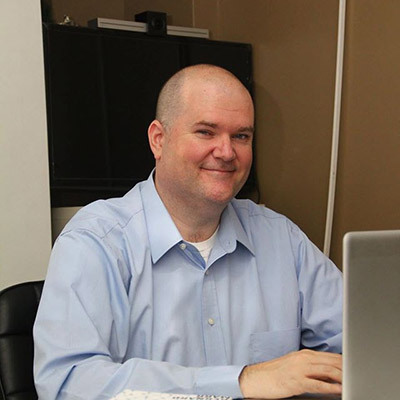 Pat has extensive experience in enterprise and web technology software implementation. He started his career in game development at EA in Vancouver, Canada. He has since joined Paramount Life & General Insurance Corporation, to update their enterprise infrastructure and develop their digital marketing and distribution platforms. Pat is also a co-founder of NXTLVL Academy, which focuses on short-term intensive technology training programs such as digital marketing, coding and data science boot camps. 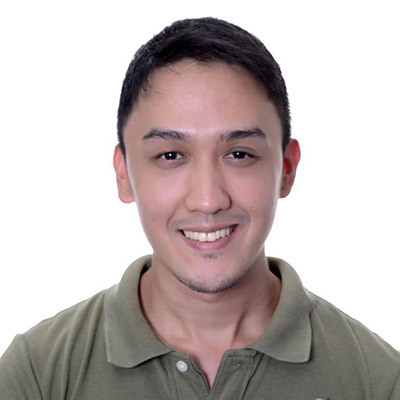 Jino started his career at HP Philippines as a project manager, after a short stint he moved to Australia in 2010 to take up masters at ANU where he specialized in Artificial Intelligence and Machine Learning. 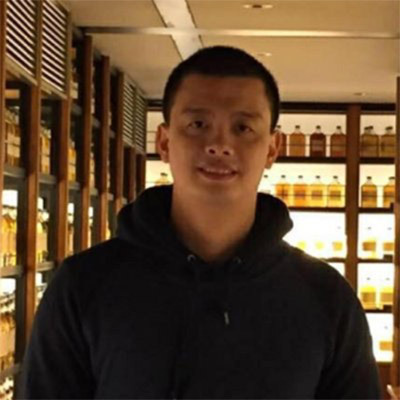 After graduation, Jino worked at the NICTA research lab in Sydney and helped spun out 2 machine learning startups before moving to Freelancer.com where he worked as an engineer in the Sydney office for a few months before transferring to their Manila office at the end of 2014 to build a Data Science team. Aside from hiring and mentoring new Data Scientists, he was also a member of the anti-fraud team where they used machine learning to catch fraudulent users. Now back in Manila, Jino is leading a team of highly skilled data analysts that service numerous clients from all over the world. Raina graduated from Ateneo de Manila University with a Bachelor of Science degree in Management Engineering. She immediately joined Accenture, spending the first 2 years in Business Excellence performing process improvement and cost reduction projects. 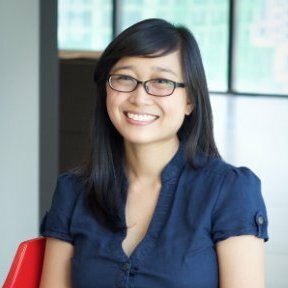 She spent the next 2 years in Analytics deploying analytics apps and creating custom solutions for clients. Through the years, she has developed a strong background in Finance and Accounting processes. Ela, a graduate of St. Scholastica’s College Manila, With a degree in Bachelor of Science in Commerce Major in Business Systems and Technology Management has been in the IT industry for about 12 years which is mostly spent in Business Intelligence and Data Warehousing. She was with Accenture last 2008 then left after 4 years. She Just came back last year to join our Analytics group heading the Big Data Tower of the Analytics Solution Factory mostly dealing with developments of ETL applications using different ETL technologies such as Talend, Teradata , Hadoop and other cloud-based technologies. 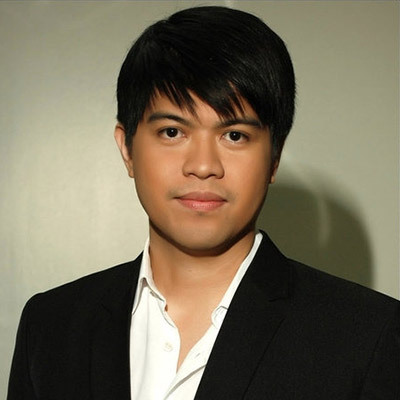 Sherwin Pelayo leads Pointwest Labs and Digital Capability Development at Pointwest Technologies Corporation, the largest Filipino-owned IT-BPO company in the country. In this role, Sherwin is responsible for growing Pointwest's capabilities in the Digital space focusing foremost in Analytics. 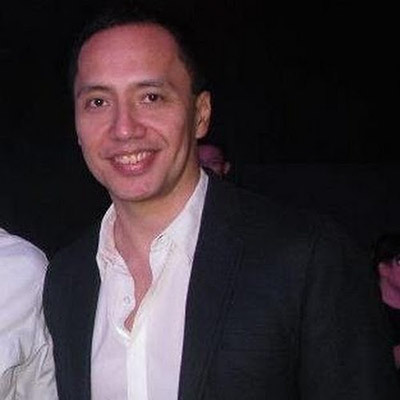 Sherwin performed the same capacity in his former stints at Accenture and IBM, specifically being part of the latter's drive to make the Philippines the global center for smarter analytics. Sherwin has maintained the belief that the country can benefit from big data analytics and has overseen such projects in disaster management, agriculture, cooperative development, education, and social media analytics during Philippine elections. Presently, Sherwin is looking to combining the disciplines of Design Thinking and Analytics for greater and more impactful social innovation. Happy Feraren is the co-founder and President of Bantay.PH. She graduated with a Bachelor of Arts degree, Major in Literature at the De La Salle University. Bantay.PH aims to uplift the standard of public service and create a culture of active citizenship. Their youth-driven activities are focused on citizen monitoring programs and civic education workshops. From when it was founded in 2012, Bantay.PH has reached over 50 government offices around Metro Manila and has engaged over 250 volunteers. Through its effective use of technology, Bantay.ph exists as a platform where citizens can demand good governance. Bantay.ph has also garnered several notable recognitions, including being a semi-finalist at Harvard Business School’s New Ventures Competition in 2012, and was recognized by the Civil Service Commission as a a significant partner in improving frontline government services and citizen engagement in the implementation of the Anti Red Tape Act. 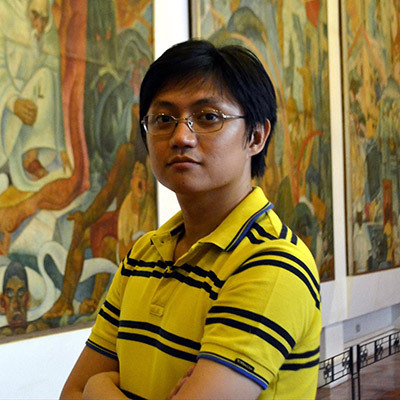 In 2014, co-founder Happy Feraren and was also the first Filipino to be awarded an international fellowship with the Open Knowledge Foundation's School of Data program in Berlin. Raisa Perez is the Engagement Lead for Open Data Philippines, an initiative that makes government data accessible, usable, and searchable. She creates data and engagement strategies and collaborates with partners such as the Presidential Communications Operations Office and the World Bank to lead the project forward. She previously worked for a project of the Office of the Presidential Adviser on the Peace Process in cooperation with the United Nations Development Program that brought gender, peace, and security programs in conflict-affected areas. She was also part of VSO Bahaginan's project that ignited the concept of volunteerism in disaster risk reduction management strategies of Metro Manila cities. Data analyst and storyteller with Thinking Machines, a data science consultancy. Former social media manager, online journalist, and documentary producer with GMA Network, one of the Philippines' top TV companies. Engr. 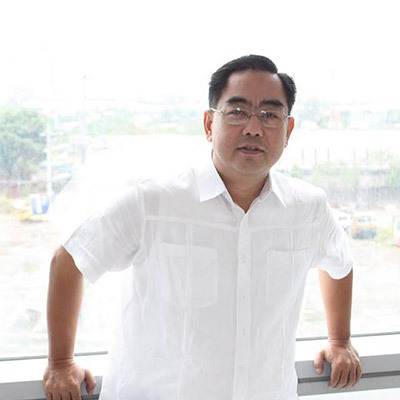 Edmond P. Maceda has been a Sustainability Consultant to Megaworld Corporation for the last 6 years, focusing on wastewater treatment for townships and sustainability training for employees. 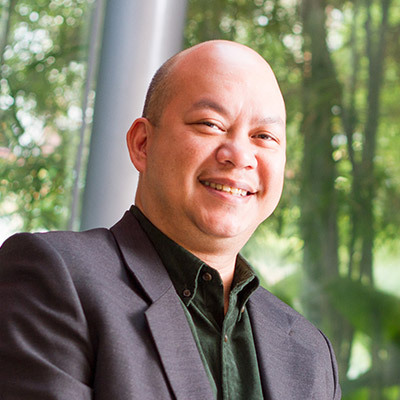 He is concurrently the Director of Sustainability for Enderun Colleges. 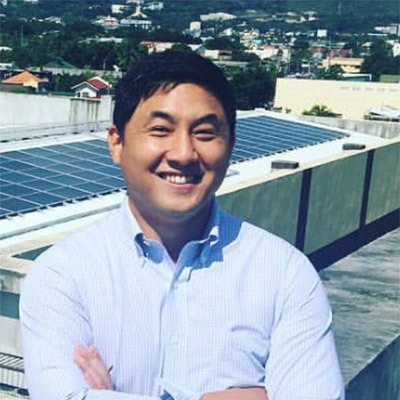 He holds a Master's degree in Environmental Engineering from Stanford University and a Bachelor's degree in Chemical Engineering from the University of the Philippines. An author and analytics expert, Daniel Meyer is President and Founder of DMAIPH and Sonic Analytics. He has 15 years of experience in the banking industry as a Senior Analyst in Wells Fargo, and five years of teaching in college after attaining his Master’s Degree in Education. He has also published an analytics book titled "Putting Your Data to Work". With his years of experience, Mr. Meyer has developed a unique and innovative training approach to analytics. Dominic "Doc" Ligot specializes in risk management, digital transformation, and big data analytics for data and analytics company Teradata. His industry exposure includes work for financial services, consumer processed goods, retail, media, communications, and oil and gas companies and his career includes work for clients in the Philippines, Malaysia, Indonesia, Thailand, Singapore, China, India, Turkey and Australia. Doc brings to his role more than 17 years of hands-on experience in data and analytics. Prior to consulting, he was previously Head of Analytics and Head of Regulatory at the Australia and New Zealand Banking Group (ANZ), and was Vice President for Consumer Assets Product Management at the Hong Kong and Shanghai Banking Corporation (HSBC). 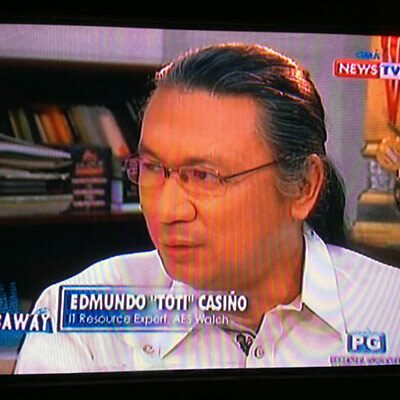 Mr. Edmundo “TOTI” Casiño, was a past president of the Philippine Computer Society (PCS) and presently a board member. He served as the lead convenor and board member of PCS Information & Computing Accreditation Board (PICAB) which recently earned its signatory membership on provisional status with Seoul Accord, a multilateral multi-recognition system evaluating & certifying computer science & information technology programs in Philippine colleges & universities based on curriculum, faculty & graduate attributes to have its equivalency with other Seoul Accord members, namely: USA, UK, Australia, Canada, South Korea, Japan, Hongkong & Taiwan, for purposes of employment mobility. 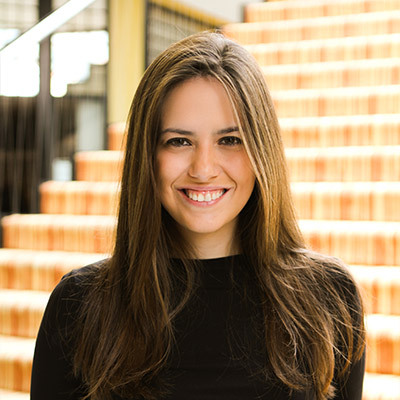 Derya Tanghe is a co-founder of NXTLVL Academy, a tech-focused training school that aims to change lives by teaching modern technology skills for people to build their careers and chase their entrepreneurial dreams. Prior to founding NXTLVL Academy, Derya was an Analyst at Global Strategic Associates, LLC an international advisory firm in New York, where he had extensive experience in corporate advisory, fundraising for private equity clients, and structuring, negotiating complex cross-border financial and strategic transactions between Asia, North America and Latin America. Derya has a BS degree from the Gabelli School of Business at Fordham University in business administration, and economics. The online registration for this conference has been closed. If you wish to attend, you can come as a walk-in from 7:30 AM onwards.